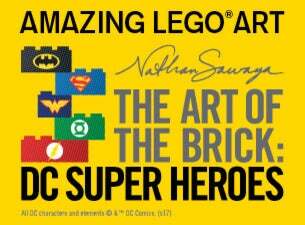 The world's largest LEGO® exhibition inspired by DC Characters. Legendary LEGO® artist Nathan Sawaya took London by storm in 2014 with his extraordinary extraordinary exhibition THE ART OF THE BRICK®. Now he returns to the UK on 1 March with his brand new exhibition inspired by the world’s most popular and enduring super heroes and villains. The Art of the Brick: DC Super Heroes includes over 120 large scale exhibits made from over 2 million LEGO® bricks, all displayed in a purpose-built space on London's South Bank, just minutes from Waterloo Station. GET READY TO FIND YOUR INNER HERO!